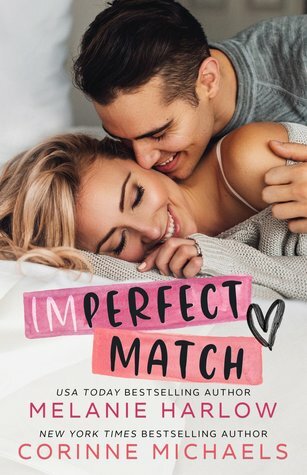 Penelope Ward always blows me away with her creative storylines and lovable characters in every single book that she writes, and Mack Daddy blew me away in the best way possible! Mack and Frankie were truly amazing and I immediately fell in love with both of them from the very first page. Mack and Frankie had beyond likable and relatable personalities, and I absolutely loved their sizzling chemistry and the close relationship and bond that they had with each other. The banter between them never ceased to entertain me or make me smile, and there was certainly never a dull moment with them. I loved getting to read the story from both of their alternating points of view, and I loved the flashback scenes from when they knew each other in college. Mack and Frankie’s story was immensely interesting and entertaining, and I was hooked from the very beginning. My heart definitely broke for each of them on more than one occasion, but all of the temporary heartbreak was worth it in the end. The secondary characters were a wonderful addition to the story as well, with the exception of Torrie and Mack’s father. You’ll understand what I’m talking about when you read the book. With all of that being said, there were plenty of pleasant surprises and happy moments throughout, and I honestly couldn’t have been more ecstatic with the conclusion. Mack and Frankie’s story truly touched my heart in more ways than one, and it will certainly stay with me for a very long time to come. I loved this book so freaking much, and although I’m very sad that it is over, I can’t stop smiling about the outcome to their story. Mack Daddy is definitely a top 2017 favorite of mine, and I highly encourage anyone who loves addicting and extremely well-written contemporary romances to check out this book and all of Penelope’s other novels. You will absolutely not regret it! Wonderful review!!! It’s fantastic to find a book that resonates so strongly with the reader. Mack Daddy didn’t do it for me, but it’s great that it was such an amazing read for others. Thank you so much for your kind words! Mack Daddy wasn’t my favorite Penelope Ward book, but I still really loved the story.